I just realized that I have been stitching madly away, having talked about thread, batting, and thimbles, without ever mentioning frames, hoops, or racks. 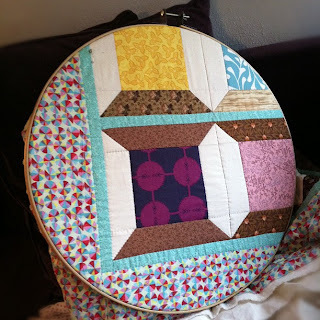 In keeping with my low-gadget style, I prefer doing my hand quilting with just a large hoop. 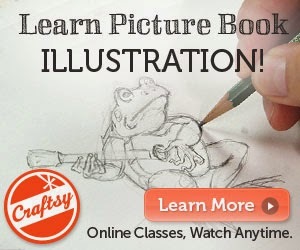 Perhaps I would enjoy a frame, if I ever had the chance to try using one, but I have always worked with a simple hoop. This one measures about 24 inches in diameter, and is good and sturdy. It is large enough to hold a good amount of quilt to work on, without being too cumbersome. I have had it for 13 or 14 years, and it was worth every penny- they only cost about $20 or so. I am down to the home stretch now! Six and-a-half of 35 squares left to go. Then trimming, binding, washing, and drying. Cross your fingers for me!